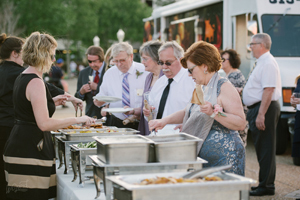 Where are Food Trucks in Tampa Bay?! The Chicks Coop, Southern Munchies, and Kona Ice of Tampa will be at South Bay Church - Riverview - Easter Eggstravaganza Egg Hunt 2019 (13498 US Hwy 301 S, Riverview, FL 33578) from 10am-12pm. Lolis Mexican Food Truck will be at Verizon Wireless ( 6550 W. Hillsborough Ave Tampa, FL 33634) from 10am-5pm. Twisted South will be at Cigar City Brewing (3924 W. Spruce Street Tampa, FL 33607) from 11am-4pm. Got Candy and More will be at Bridgewater Easter Hunt (2525 Village Lake Blvd. Lakeland FL 33805) from 1pm-4pm. Softee the King, Sub Zero Italian Ice, and Jenny’s Mini Donuts will be at Bridgepoint Church - Family Fun Event ( 6735 Crosswinds Dr. N., St. Petersburg, FL 33710) from 3:30pm-8:30pm. Mac Shack will be at Cigar City Brewing ( 3924 W. Spruce Street Tampa, FL 33607) from 4pm-10pm. Gyros for Heroes will be at Bullfrog Creek Brewing (3632 Lithia Pinecrest Road, Valrico, FL 33596) from 5pm-9pm. BBQ Time, Open Fire Grilled Brazilian, and Off the Block will be at Sunlit Festival - Fundraiser for Keep St Pete Lit (sponsored by Behar + Peteranecz Architecture) (2430 Terminal Drive S, St Petersburg, FL 33712) from 5:30pm-8:30pm. Karisma Italiano will be at Verizon Wireless (6550 W. Hillsborough Ave Tampa, FL 33634) from 10am-3pm. Jazzy B Grille will be at Bullfrog Creek Brewing (3632 Lithia Pinecrest Road, Valrico, FL 33596) from 11am-2pm for Exotic Brunch and 5pm-8pm for Trivia Night. Softee the King, Jenny’s Mini Donuts, and Whatever Pops will be at Bridgepoint Church - Family Fun Event (6690 Crosswinds Drive North St. Petersburg, FL 33710) from 3:30pm-8:30pm. BBQ Time will be at Cigar City Brewing (3924 W. Spruce Street Tampa, FL 33607) from 12pm-6pm. Big Bang BBQ will be at BayCare Healthhub at Bardmoor (8787 Bryan Dairy Road, Largo, FL 33777) from 11am-2pm. Wing Box will be at Bisk Education (9417 Princess Palm Ave, Tampa, FL 33619) from 11am-2pm. Southern Munchies will be at Coca Cola (10117 Princess Palm Avenue, Suite 400 Tampa, Florida 33610) from 11am-2pm. Open Fire Grilled Brazilian will be at Media Lab 3D Solutions (13101 Telecom Drive Suite 250 Tampa, FL 33637) from 11am-2pm. The Melt Machine will be at Floriland (9309 North Florida Avenue Tampa, FL 33612) from 12pm-3pm. Italian Scallion will be at Cigar City Brewing (3924 W. Spruce Street Tampa, FL 33607) from 5pm-9pm. St Pete Taco Lady will be at BayCare Healthhub at Bardmoor (8787 Bryan Dairy Road, Largo, FL 33777) from 11am-2pm. Ramen and Waffles will be at Frontier (610 E Zack Street, Tampa, FL 33602) from 11am-2pm. Kebablicious will be at Woodland Corporate Center (7725 Woodland Center Blvd, Tampa, FL 33614) from 11am-2pm. Engine 53 Pizza will be at Bisk Education (9417 Princess Palm Ave, Tampa, FL 33619) from 11am-2pm. Mac Shack will be at Media Lab 3D Solutions (13101 Telecom Drive Suite 250 Tampa, FL 33637) from 11am-2pm. CJ Traveling Pizzeria will be at USF College of Behavior (3243-3251 USF Banyan Circle Tampa, FL 33613) from 11am-2pm. Fiesta Bowls will be at Coca Cola (10117 Princess Palm Avenue, Suite 400 Tampa, FL 33610) from 11am-2pm. Slammer Shop will be at Floriland (9309 North Florida Avenue Tampa, FL 33612) from 12pm-3pm. Nico’s Arepas Grill will be at Cigar City Brewing (3924 W. Spruce Street Tampa, FL 33607) from 5pm-9pm. Yo Yo Juice will be at HCC Southshore (551 24th Street Northeast, Ruskin, FL 33570) from 10:30am-2:30pm. Cajun Cuisine will be at BayCare Healthhub at Bardmoor (8787 Bryan Dairy Road, Largo, FL 33777) from 11am-2pm. Williamsburg Cucina will be at SalonCentric (10101 MLK Street, North, Saint Petersburg, FL 33716) from 11am-2pm. Flip’n Tasty will be at Clearwater Tower (33 N Garden Ave, Clearwater, FL 33755) from 11am-2pm. The Kitchen by Devin Davis will be at Bisk Education (9417 Princess Palm Ave, Tampa, FL 33619) from 11am-2pm. Engine 53 Pizza will be at Media Lab 3D Solutions (13101 Telecom Drive Suite 250 Tampa, FL 33637) from 11am-2pm. Kebablicious will be at TRU Simulation (1827 Northpointe Pkwy, Lutz, FL 33558) from 11am-2pm. Bobby Daddy’s Food Truck will be at Coca Cola (10117 Princess Palm Avenue, Suite 400 Tampa, FL 33610) from 11am-2pm. Smokin Bowls will be at Floriland (9309 North Florida Avenue Tampa, FL 33612) from 12pm-3pm. Smokin Bowls will be at Cigar City Brewing (3924 W. Spruce Street Tampa, FL 33607) from 5pm-9pm. Vietnamese Food Truck will be at Bullfrog Creek Brewing (3632 Lithia Pinecrest Road, Valrico, FL 33596) from 6:30pm-9:30pm. Dave’s Jukebox Diner will be at HCC Southshore (551 24th Street Northeast, Ruskin, FL 33570) from 10:30am-2:30pm. The Melt Machine, The Chicks Coop, and Chief’s Chill Out will be at Verizon Take Your Child To Work Day (Verizon Data Services 7701 E Telecom Parkway, Temple Terrace, FL 33637) from 11am-2pm. Boardwalk Vibes will be at BayCare Healthhub at Bardmoor (8787 Bryan Dairy Road, Largo, FL 33777) from 11am-2pm. Fiesta Bowls will be at Woodland Corporate Center (7725 Woodland Center Blvd, Tampa, FL 33614) from 11am-2pm. Mr C’s Grilled Cheese will be at Bisk Education (9417 Princess Palm Ave, Tampa, FL 33619) from 11am-2pm. Slammer Shop will be at Media Lab 3D Solutions (13101 Telecom Drive Suite 250 Tampa, FL 33637) from 11am-2pm. Vanchetta will be at Coca Cola (10117 Princess Palm Avenue, Suite 400 Tampa, FL 33610) from 11am-2pm. Flip’n Tasty will be at Baycare Oldsmar (3986 Tampa Road, Oldsmar, FL 34677) from 11am-2pm. Mac Shack will be at USF College of Behavior (3243-3251 USF Banyan Circle Tampa, FL 33613) from 11am-2pm. Karisma Italiano will be at Floriland (9309 North Florida Avenue Tampa, FL 33612) from 12pm-3pm. Big Bang BBQ and Kebablicious will be at Academie Da Vinci School Art Show (Dunedin Fine Art Center 1143 Michigan Blvd Dunedin 34698) from 5pm-7:30pm. Jazzy B Grille and Sawadee Thai Food will be at Winter Haven Hospital (Winter Haven Hospital, 200 Avenue F NE, Winter Haven, FL 33881) from 5pm-8pm. Cuban B’s Burger Bazaar and Bake Shack will be at Cigar City Brewing (3924 W. Spruce Street Tampa, FL 33607) from 5pm-9pm. The Dude and his Food will be at BayCare Healthhub at Bardmoor (8787 Bryan Dairy Road, Largo, FL 33777) from 11am-2pm. Bobby Daddy’s Food Truck will be at Frontier (610 E Zack Street Tampa FL 33602) from 11am-2pm. Vietnamese Food Truck will be at Bisk Education (9417 Princess Palm Ave, Tampa, FL 33619) from 11am-2pm. Heavy’s Food Truck will be at Care Centrix (9119 Corporate Lake Drive, Tampa, FL 33634) from 11am-2pm. Twisted South and Williamsburg Cucina will be at JPMC Fountain Square I (4900 Memorial Hwy Tampa FL 33634) from 11am-2pm. Sawadee Thai Food and Just Smokin BBQ will be at JPMC Fountain Square III (4900 Memorial Hwy Tampa FL 33634) from 11am-2pm. Ramen and Waffles will be at Coca Cola (10117 Princess Palm Avenue, Suite 400 Tampa, FL 33610) from 11am-2pm. Smokin Bowls will be at Media Lab 3D Solutions (13101 Telecom Drive Suite 250 Tampa, FL 33637) from 11am-2pm. Open Fire Grilled Brazilian will be at Floriland (9309 North Florida Avenue Tampa, FL 33612) from 12pm-3pm. Anju Korean Gastrotruck will be at Cigar City Brewing (3924 W. Spruce Street Tampa, FL 33607) from 5pm-11pm. Mac Shack will be at Bullfrog Creek Brewing (3632 Lithia Pinecrest Road, Valrico, FL 33596) from 5pm-9pm. Monstah Lobsta, Down Home Southern, Flip’n Tasty, Cajun Cuisine, Big Bang BBQ, Slammer Shop, Krepelicious, Fiesta Bowls, Kebablicious, and Pineapple Shack will be at Plant City Main Street Food Truck Rally (102 N Palmer St, Plant City, FL 33563) from 5pm-9pm. BBQ Time, Coco’s Food Truck, and Off the Block will be at Odessa Elementary’s Spring Carnival (12810 Interlaken Rd, New Port Richey, FL 34655) from 5:30pm-8pm. Cajun Cuisine will be at Moccasin Lake Nature Park - Earth Day Celebration (2602-2750 Park Trail Lane, Clearwater, FL 33759) from 10am-2pm. Lolis Mexican Food Truckwill be at Verizon Wireless ( 6550 W. Hillsborough Ave Tampa, FL 33634) from 10am-5pm. Dave’s Jukebox Diner, Anju Korean Gastrotruck, Kebablicious, Just Smokin BBQ, Dulce Dough, and Fiesta Bowls will be at Tampa Bay International Dragon Boat Races presented by Junior League of Tampa (Cotanchobee Park, 601 Old Water Street, Tampa, FL 33602) from 10am-7pm. Vietnamese Food Truck will be at Cigar City Brewing (3924 W. Spruce Street Tampa, FL 33607) from 11am-4pm. Manolito’s Cubans, The Chicks Coop, and IC Swirlz will be at HCC 50th Anniversary Celebration (Water Works Park, 1710 N Highland Ave, Tampa, FL 33602) from 11am-3pm. Twisted South will be at Cigar City Brewing ( 3924 W. Spruce Street Tampa, FL 33607) from 4pm-10pm. Marek’s Kielbasa and Pierogi will be at Bullfrog Creek Brewing (3632 Lithia Pinecrest Road, Valrico, FL 33596) from 5pm-9pm. St Pete Taco Lady, Engine 53 Pizza, and The Melt Machine will be at the Rowdies Stadium for the Rowdies Game INSIDE (AL Lang Stadium 230 1st St S, St. Petersburg, FL 33701) from 6:30pm till the end of the match. Mr C’s Grilled Cheese will be at Water Works Movie Night (1710 N Highland Ave, Tampa, FL 33602) from 7pm-9pm. TBA will be at Verizon Wireless (6550 W. Hillsborough Ave Tampa, FL 33634) from 10am-3pm. Bobby Daddy’s Food Truck will be at Bullfrog Creek Brewing (3632 Lithia Pinecrest Road, Valrico, FL 33596) from 11am-2pm for Exotic Brunch and 5pm-8pm for Trivia Night. Williamsburg Cucina will be at Cigar City Brewing (3924 W. Spruce Street Tampa, FL 33607) from 12pm-6pm. 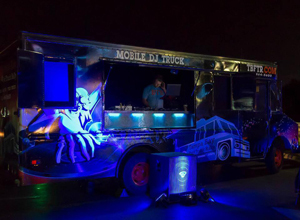 Check out our Mobile DJ Truck!